The 2018 Dodge Durango SRT was created to go fast, look mean, and haul a gaggle of people. 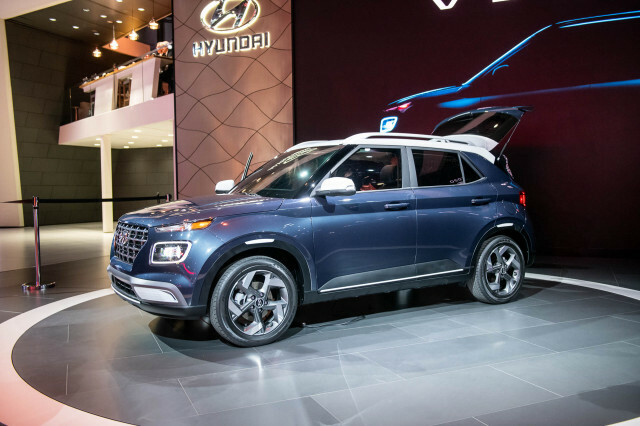 The muscle truck of three-row crossover SUVs has one more ace up its sleeve—or tucked between its rumbling tailpipes. Shove a massive engine into a vehicle and sometimes it increases its capabilities across the board. The Durango SRT can tow up to 8,700 pounds. 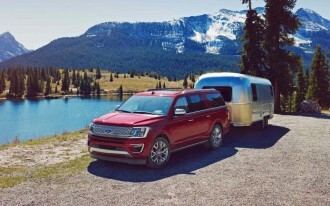 Until the 2018 Ford Expedition came around, the Durango SRT was the unsung king of the three-row towing scene. 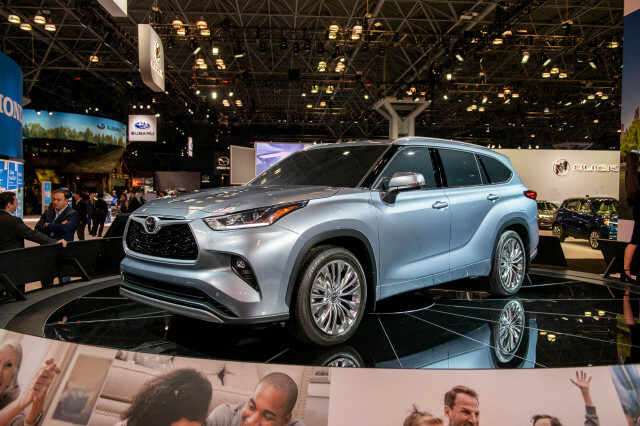 Its J2807 SAE-certified (read: scientists and engineers have its back) tow rating tops the truck-based Chevrolet Tahoe and GMC Yukon twins and the Nissan Armada. 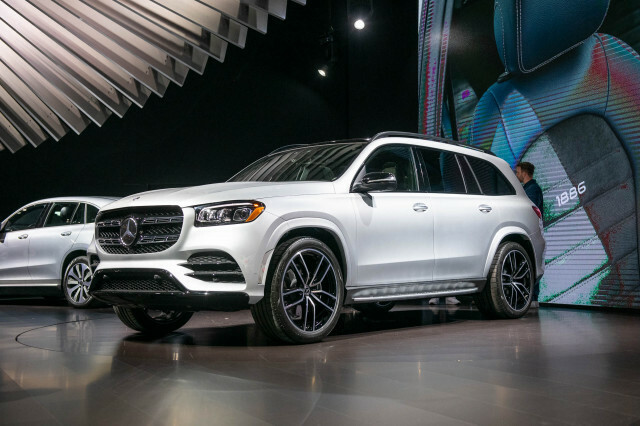 That feat is impressive given every one of the competitors utilizes body-on-frame construction, while the Durango SRT features a more carlike unibody construction. It’s that rigid unibody that helps give the Durango SRT sports car-like reflexes on a curvy road, too. With the 6.4-liter Hemi V-8 churning out 475 horsepower and 470 pound-feet of torque to all four wheels, nobody can call the Durango slow. For those counting, that’s 55 horsepower and 10 pound-feet ahead of the 6.2-liter V-8 GM puts in certain versions of the Cadillac Escalade, GMC Yukon, and Chevrolet Tahoe. 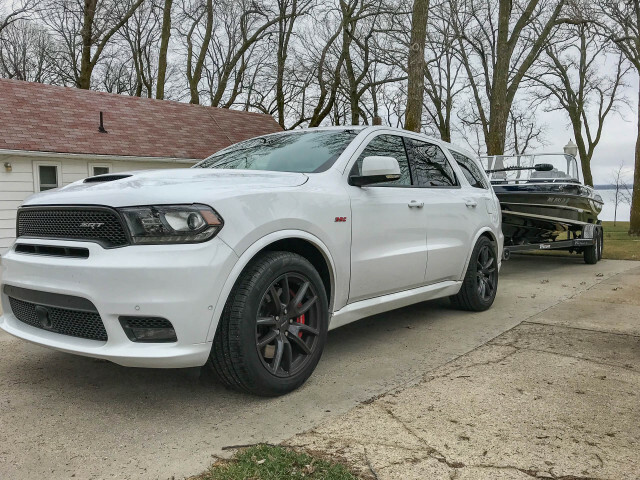 Hook a trailer up to the Durango SRT, mash the throttle, and it accelerates with gusto and a bark that just might scare the kids. It’s not just the power, but also the way the Durango SRT’s geared. 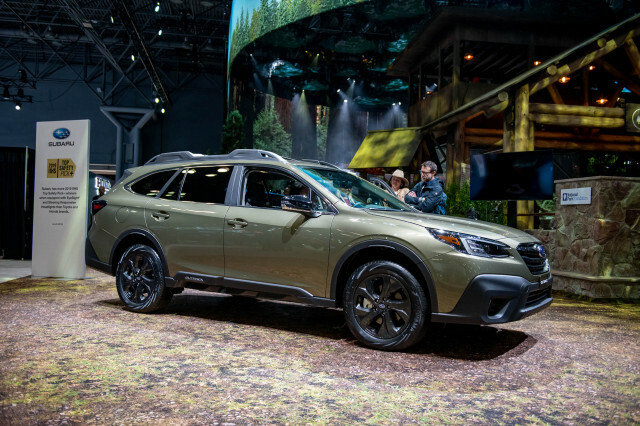 This big SUV breaks out of the gate with authority, whether at a track or on the way to soccer practice. 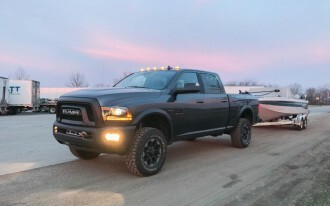 Or with a 5,000-pound boat and trailer lashed to the rear. Last year, we drove the same route in a 2017 Cadillac Escalade. The Durango SRT exerted less effort than Caddy’s luxo-ute. Like all SRT vehicles, the Durango SRT is loud, proud, and makes its presence known. 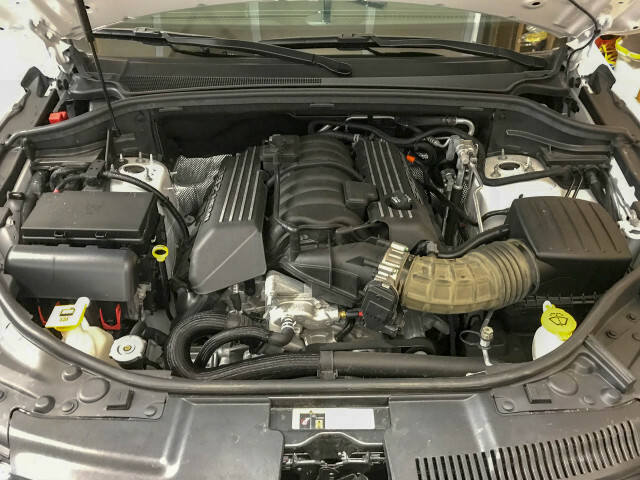 Mash the accelerator and anything that has a pulse within a few mile radius will be keenly aware of all 6.4 liters. The downside: This can become annoying when towing a heavy load. While the Durango SRT has active noise cancellation like Bose headphones, there’s a drone from the exhaust that comes and goes at about 1,500 rpm while hauling a heavy load. The Durango SRT’s Tow Mode, activated in the SRT modes menu in the infotainment system doesn’t deactivate active cylinder management. That system helps cut fuel use in light-load situations and even with a 5,000 pound trailer attached, the engine will shut down half its cylinders to become a 3.2-liter 4-cylinder. Tow Mode also changes the transmission calibration. The 1-2 shift occurs at 5,500 rpm. 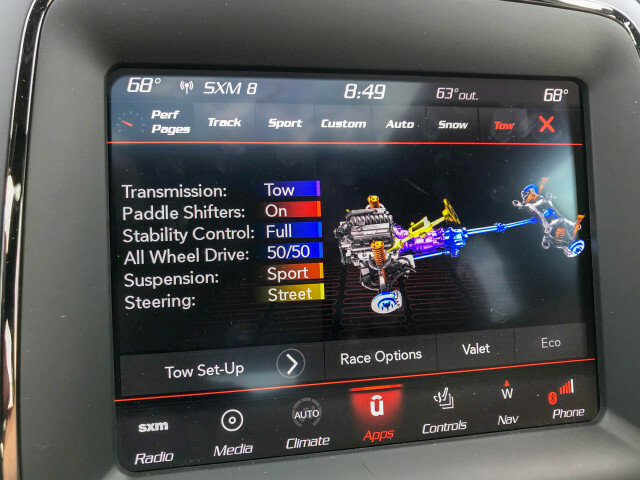 It seems odd at first that regardless of throttle input, the massive 6.4-liter V-8 eagerly revs so high, but Durango SRT vehicle development manager Pete Jacobson told The Car Connection that it’s to provide torque reserve should the driver need more power to accelerate. 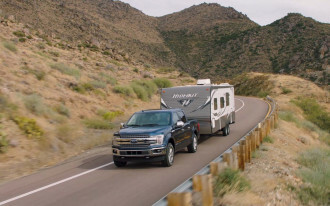 Additionally, Tow Mode locks the all-wheel-drive system to 50/50 for power distribution, enables an electronic trailer control system, and sets the electronic dampers to a firmer Sport setting to help catch the rear end more quickly with more rebound. 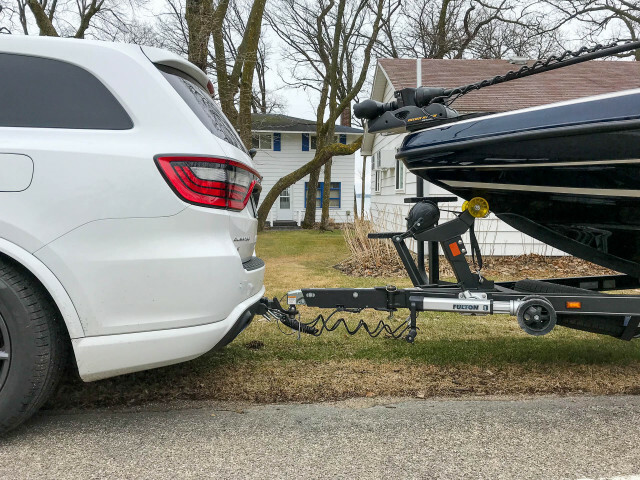 Many body-on-frame trucks and SUVs now require extra equipment for towing—drop hitch or safety chain extenders, for instance—due to their tall ride height, massive wheels, and beefy rear suspensions. With the Durango SRT utilizing a unibody construction, it sits lower than truck-based competitors. A standard 2-inch drop works just fine for hauling a trailer and no safety chain or light extension is needed. Then again, the unibody isn’t always advantageous. 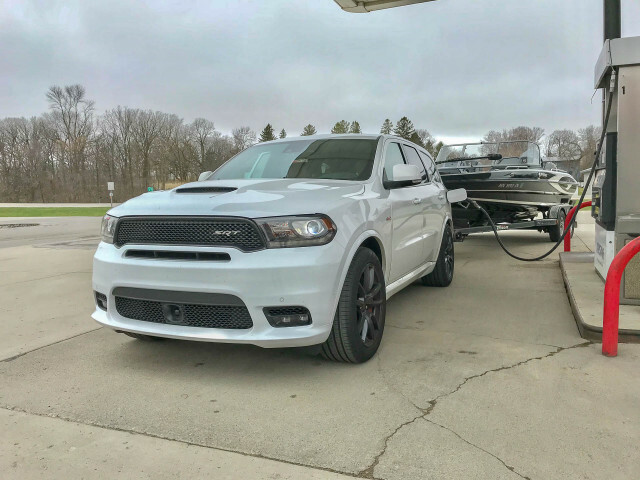 The Durango SRT is not built like a truck with a boxed body-on-frame setup, and while we never felt anything short of confident, we were always keenly aware of the Durango’s chassis absorbing thrash from the load strapped to its trailer hitch. 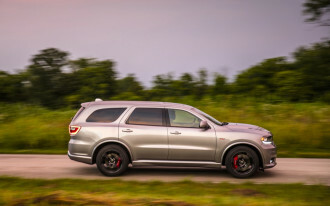 This tradeoff is more than fair given the Durango SRT’s exceptional handling prowess. With all that power comes a great thirst for premium fuel. 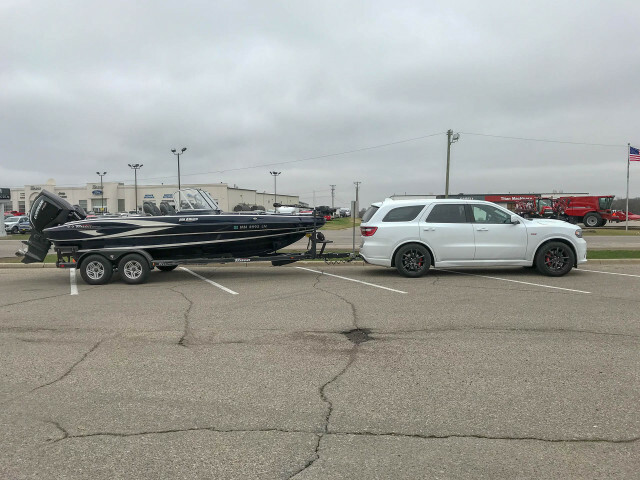 While tugging a 5,000 pound boat and trailer setup on the highway, the Durango SRT’s trip computer indicated an average of 9.3 mpg. 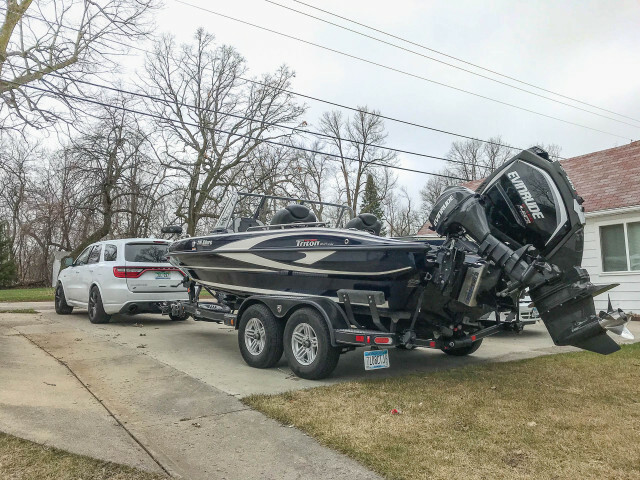 Towing is never efficient as extra load is being put on the powertrain, but the Escalade’s 6.2-liter V-8 that did the same task last year slurped at a lower rate: 12.3 mpg. Even without a trailer,the Durango SRT guzzles and guzzles. The best our tester mustered on the highway was 17.8 mpg, which isn’t terribly far from its 19 mpg EPA highway rating.